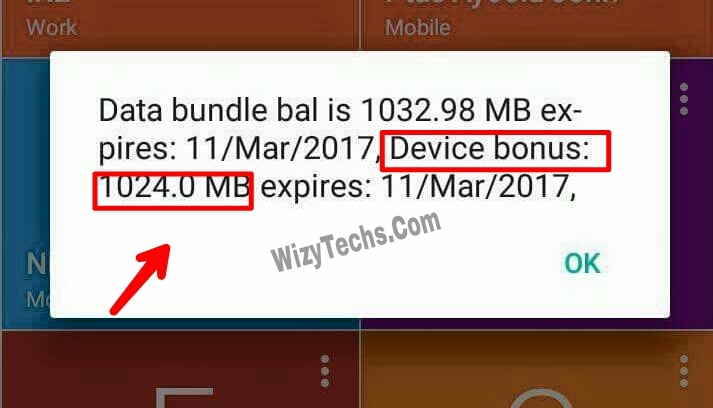 Hello guys, am here with considerable list of IMEI numbers for getting MTN double data bonus of 2GB for #500, 8GB for #2000 and so on. 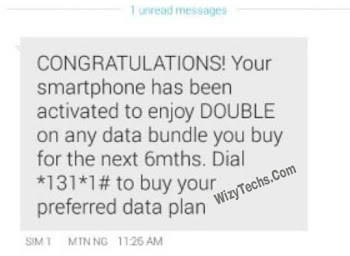 Recall few months ago i revealed the secret on how to get double data on MTN whenever you subscribe of a data plan. This secret is smartest way to get best data deals on the Network. For instance, when you subscribe for MTN 1gb for N500, you get 2GB instead of the regular 1GB allocated for that price. Also, when you subscribe for the MTN 1.5GB for #1000, you get 3GB for same price and so on. You see, this is a great trick to get more value from your data plan purchases. I have been making use of this trick to enjoy data to the fullness and I have written about it many times on this blog for you to enjoy as well. 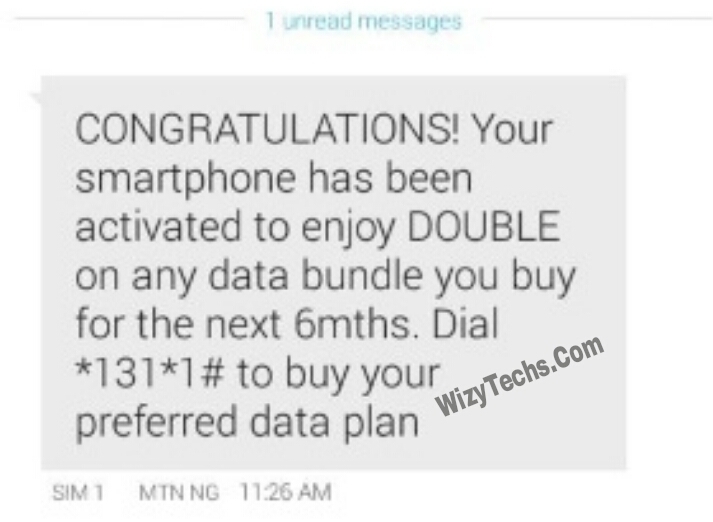 Meanwhile, the common challenge people face with this trick is getting the valid IMEI to tweak in order to be eligible to enjoy MTN Double Data Bonus. This is because the bonus is not meant for every phone so you have to tweak the IMEI numbers of those few devices that are mapped out for this promo in order to benefit. Having said that, let me proceed by listing a good number of valid IMEI newly generated for this purpose. HOW CAN I TWEAK IMEI? CAN I GET DOUBLE DATA AGAIN IN SUBSEQUENT WEEKS/MONTHS? Yes. 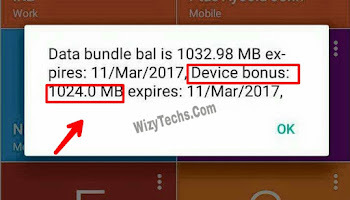 Once your current data bonus expires or is exhausted, you need to tweak another IMEI (from the list above) to enjoy another bonus. This continues as long as the promo is going on. I have been enjoying iy since last year. That's it guys. If you are still having difficulties in benefiting from this browsing trick, kindly let me know via the comments section below and I will guide you. Happy browsing. Hello Wizy,please How Do I Tweak My Htc M7 Imei And Does M7 Support Lte. pls sir wizz is the stuff valid fr a month or just week? The N500 for 1GB valid for one week while the N1000 for 1.5GB valid for one month. Its still the regular validity period for the data plans. The difference is the 100% bonus you will enjoy. Thanks baba wizzy really enjoy it! Guys if u hv tweak ur imei correct and it doesn't work just try using new sim it will perfectly work. I experienced that after tweaking many imei on my old sim and it doesn't work so I bought new sim and tweak immediately I got de message. sir wizy this is what they reply me. does it mean I am activated? Welcome to MTN family. Please dial *131# NOW to buy any Data bundle and enjoy INSTANT FREE 100% BONUS for the next 6 Months. Happy Surfing. Yes go on and subscribe for ur preferred data plan. I tried it but I saw a pop up saying this is not allowed by user build what does it mean wizzy? I tried it but I got a pop up message saying not allowed by user build what do I do wizzy?